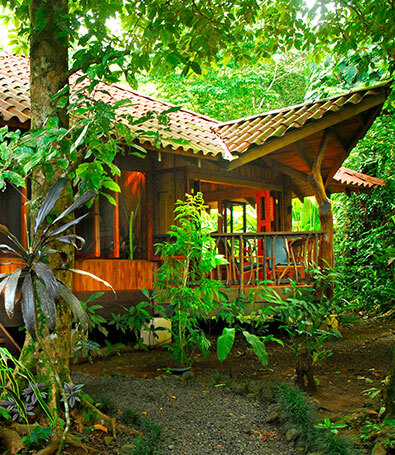 Celebrate your love for each other in the exotic paradise of Costa Rica. 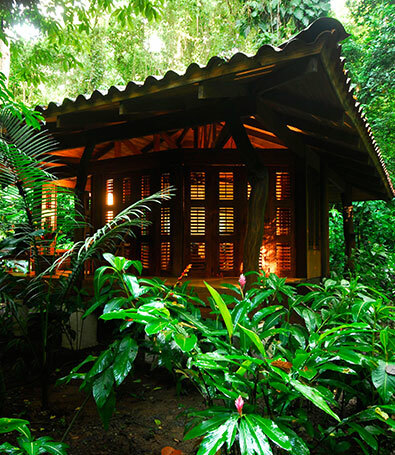 Our wildly romantic rainforest cabins are perfect for nature lovers. Discover the journey of a lifetime with exciting activities designed for couples. Take a private guided hike to a breathtaking waterfall and dive into the swimming hole together. Relax and enjoy rainforest aromatherapy massage in the privacy of your cabin or down at our private waterfront deck while you listen to the lapping waves. Dine by candlelight on the terrace with a bottle of Champagne or Jungle Love cocktails. The Cabin Suite is very private and set apart from all other accommodations. It features hardwood floors, private open air shower, wrap around terrace with louver doors and windows, and ceiling fans. The cabin includes two bedrooms, a comfortable sitting area, and a large loft-like space with a removable partition wall to add flexible space for groups.